In this paper, supply chain deals with a single manufacturer and a single retailer. A manufacturer employs innovation and a retailer employs promotional efforts to elevate the demand and sales of their respective products. 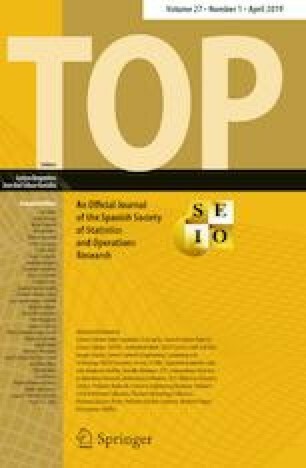 The following paper uses decentralized and centralized models to analyze supply chain for innovation, promotional efforts, and replenishment time, when stocks deteriorate at a constant rate considering trapezoidal demand of the product, which depends on the manufacturer’s innovation and the retailer’s promotional efforts. It is found that the total profit of supply chain improves with joint decisions; however, it reduces individual profit. The individual profit of the retailer decreases due to centralized approach, and therefore, the manufacturer tries to lure the retailer through discounts in the selling price of the product, trade credit, and profit sharing. Due to these types of offers, retailer is ready to take part into joint decision. As a result, supply chain maximizes their profit centrally. The following paper aims to optimize the total profit of supply chain keeping in view of the manufacturer’s innovation efforts, the retailer’s promotional efforts, and replenishment time. The model is supported by numerical examples, applies sensitivity analysis to deduce managerial insights, and concludes on working in coordination for optimal profit/benefits. The authors thank reviewer for constructive comments. The first author is thankful to DST- FIST –file # MSI 097 for the financial assistance to carry out this research.